France’s President François Hollande visited Brazil last week, and he was in for an unpleasant surprise. Brazil announced on Saturday that France isn't getting the big contract that Hollande was pushing -- a multibillion-dollar deal for new fighter jets. Brazilian newspaper Folha de São Paulo reported that the French are now out of a three-way race they once seemed poised to win. 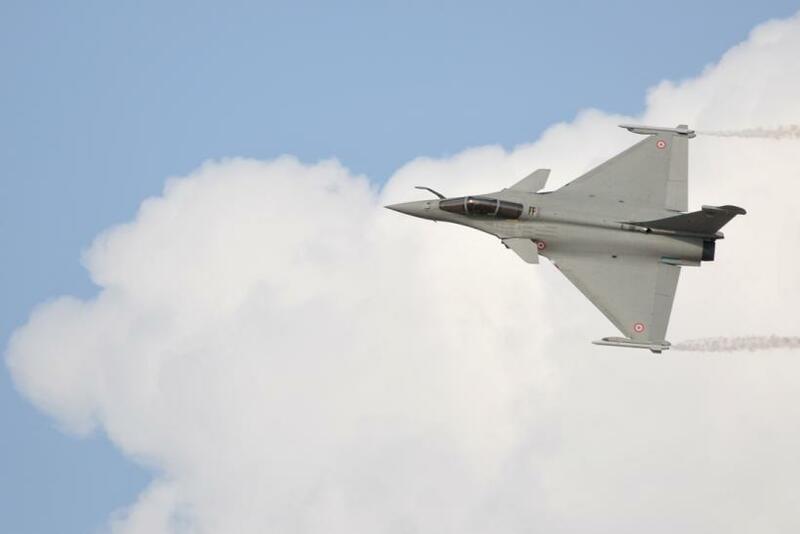 The decision comes as a surprise, since France’s Rafale fighter jets were former President Luiz Inácio de Lula’s favorite option to replace Brazil's current fighter jet, the Mirage, also a French product. Nevertheless, since the offer was made in 2009, both governments have changed leaders and Brazil's finances have hit the skids. France’s $4 billion proposal for 36 Rafale fighter jets, made by a consortium led by Dassault Aviation SA (EPA:AM), was rejected for cost reasons. The government has not specified if it has decided on any of the other contestants, the F/A-18 Super Hornet from Boeing Company (NYSE:BA) and the Gripen made by Sweden’s Saab (STO:SAAB-B). However, the current animosity between Brazil’s President Dilma Rousseff and the U.S. over the NSA’s spying on Brazilian leaders -- including the president herself -- and companies has put the negotiations with Boeing (NYSE:BA) on hold since the summer. Many Brazilian experts argue that any deal with the Chicago-based aerospace giant is currently in jeopardy, since relations are not back to normal yet. The general impression at the moment is that any fighter jet deal might be delayed to 2015 or later. The government was looking at retiring its Mirage 2000 jets at the end of this year, and Rousseff promised a decision in the competition, which has been going on for a decade, before then. Samantha Pearson at the Financial Times argues that the key question should not be where will Brazil buy its jets but whether it will buy them at all. “The deal has been a convenient diplomatic bargaining tool for the past decade, but it is hard to see it coming to fruition any time soon,” Pearson wrote. Brazil's GDP growth for 2013 is expected to be disappointing, with most analysts predicting growth of less than 2 percent after a crushing Q3, which saw a 0.5 contraction in growth. Brazil also experienced turmoil in 2013 on a scale never before seen in the country. An announcement in June of an increase in the prices of public transportation led to nationwide protests, which later escalated in size and scope, bringing Brazil its first general strike in two decades. Brazilians demanded better welfare, more government spending on education and health care, and less money spent on vanity projects like the 2014 World Cup or the Rio de Janeiro Olympics in 2016. The protesters made themselves heard, and the government canceled the transportation price hike. It also announced constitutional reforms to fight corruption and increased investment in health and education. With the 2014 election looming, and her approval rate rising -- it was at 75 percent in November, up from 65 percent in July – Rousseff might not consider spending billions on top-shelf fighter airplanes a priority. With two major international events to take care of, not to mention a society getting more outspoken by the day, Brazil might put off a decision on its air force renewal to beyond 2015. Occupy Maracanã: Has The World Cup Ever Helped Its Host Country?